I bet you thought I wouldn’t get my 2018 favorites out in time! HA. I did it! We’re creeping up on the last couple weeks of January so I’m cutting it close, but it still counts, right? I really want to start doing yearly beauty and lifestyle favorites because those are the posts I personally look forward to reading the most. I feel like if a product made it into someone’s top products of the entire year, they’re probably pretty amazing. I’m starting the tradition with my beauty favorites because I took a poll on Instagram, and you guys voted for this first! My lifestyle post will be coming very soon. 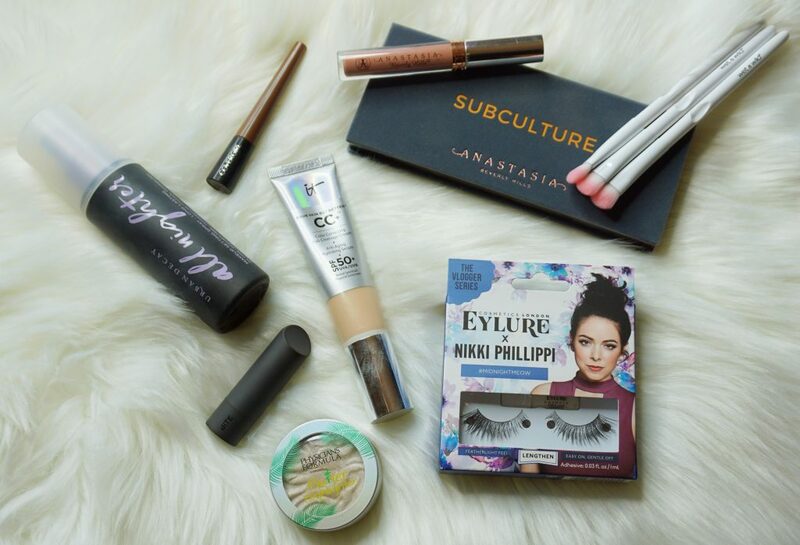 I have never uploaded a lifestyle favorites so I am actually really excited to share everything with you! I tried my absolute best to REALLY narrow down my list for today. I originally had close to forty products, and had to play cut throat. Everything I am sharing has never let me down, and I would 10/10 recommend. They are also items that I probably will always have in my stash, and they went above and beyond my expectations. If a product was simply “good”, it did not make it into my 2018 favorites. Anastasia Beverly Hills Subculture Palette: When I went through my eye shadow palettes to pick one that really stood out this year, I kept going right back to Subculture. I know there was a LOT of controversy over it when it first came out with people saying the shades were too powdery. While I noticed a decent amount of fallout, I never had a problem. I thoroughly enjoyed it, unlike the Norvina palette. I guess it goes to show that not all products are created equal, and to really get to the bottom of a product, you just have to try it yourself. Anastasia Beverly Hills Liquid Lipstick in Stripped: Many beauty bloggers LOVE this liquid lip so I’ll keep my thoughts short. If I’m in a rush, and need something that will compliment ANY makeup look, I grab Stripped. If I am doing a minimal makeup day, I grab Stripped. If I am not sure what lipstick to wear, I grab Stripped. If I was stranded on an island and could only take one item with me, I would grab Stripped… Okay, you get my point. Bite Beauty Amuse Bouche Lipstick in Honeycomb: Bite Beauty has quickly become one of my favorite brands. 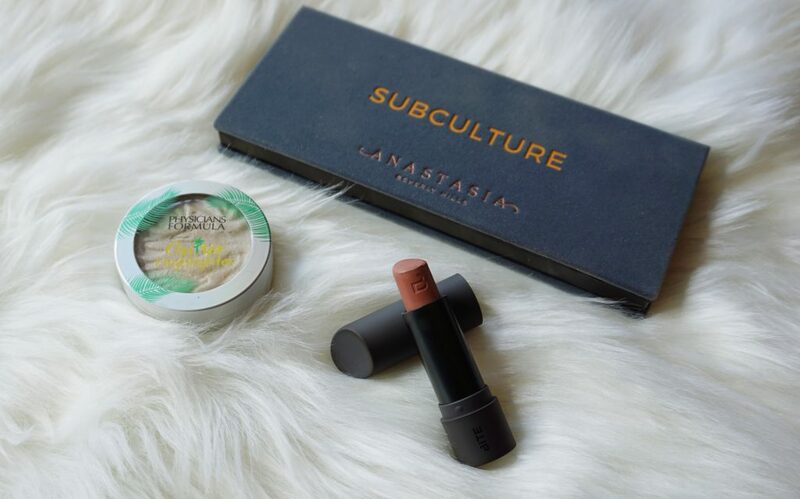 Their lip products are out of this world, and the Amuse Bouche lipstick is no exception. 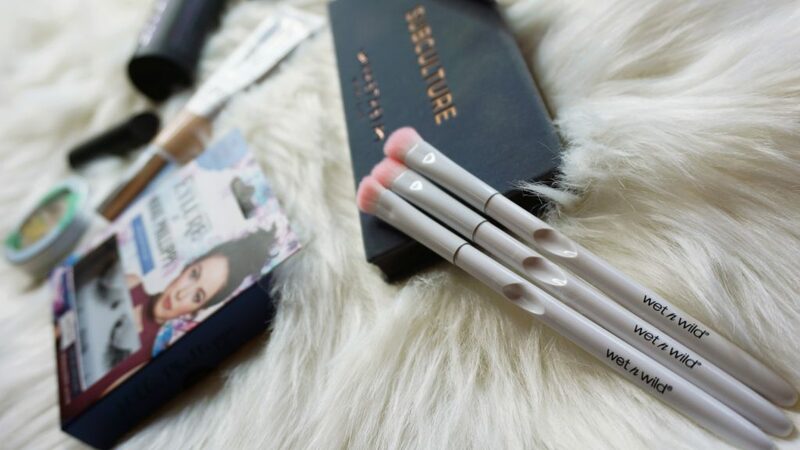 They are creamy, pigmented, and very simple to apply. I plan to try more shades in the near future. If you’re looking for the perfect, everyday, traditional lipstick, this is it! Urban Decay All Nighter Setting Spray: If you have been following the blog for a while now, you know how much I love Urban Decay setting sprays. Chill is still a go-to, but this year I also got into a relationship with the All Nighter. I struggle with creasing around my nose and underneath my eyes, and this has helped immensely! It keeps your makeup looking fresh all day long. 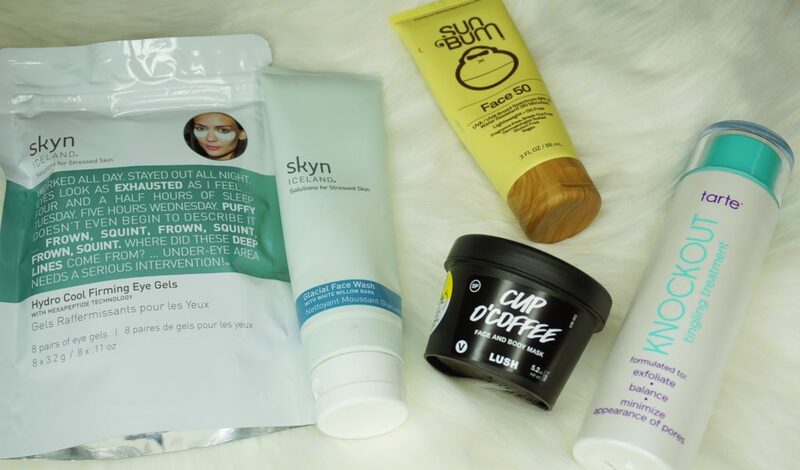 It Cosmetics Your Skin But Better CC+ Cream in Fair: This year I branched out, and tried a lot of different foundations, but close to the end of the year, I wanted my tried and true CC cream back. 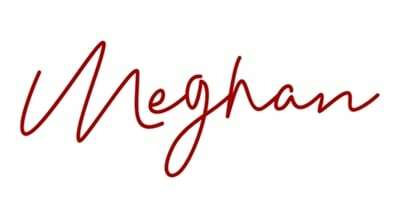 DESPERATELY. It is full coverage, light, blends perfectly with my skin tone, and lasts all day. I can’t imagine my life without it. Physicians Formula Butter Highlighter in Pearl: Physicians Formula set the bar high for their fellow drugstore companies regarding highlighters. The Butter Highlighter is SOFT, and has the perfect amount of sparkle/shimmer. It will take your look to the next level! However, it is pretty bold so it is not for the faint of heart. Covergirl Easy Breezy Brow Fill + Shape + Define Powder: This is a product that I tried quite recently, but immediately fell head over heels for. I am all for products that make your life easier, and Covergirl’s brow powder does it all. It fills, tames and kind of glues your brow hairs in place. I am pretty confident with makeup, but brows have always terrified me. This makes it simple. 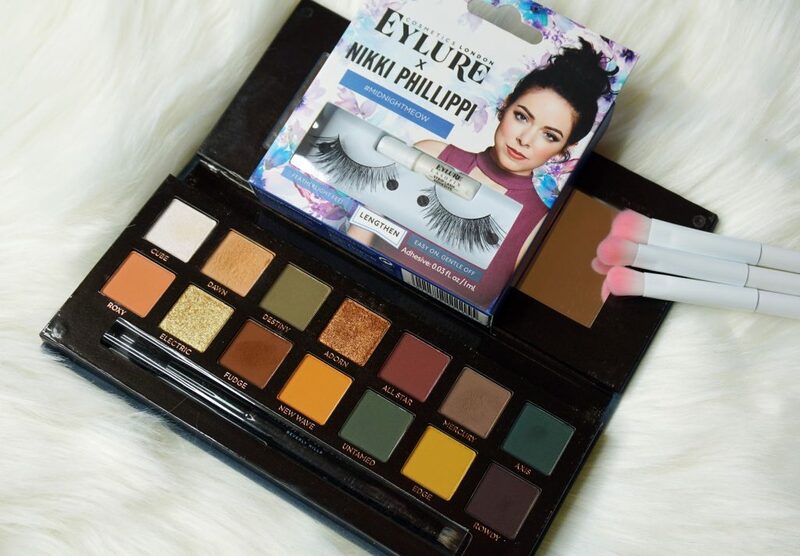 Eylure x Nikki in Midnight Meow: In 2018 I challenged myself to nail down the art of fake lashes, and Eylure made it easy as pie. 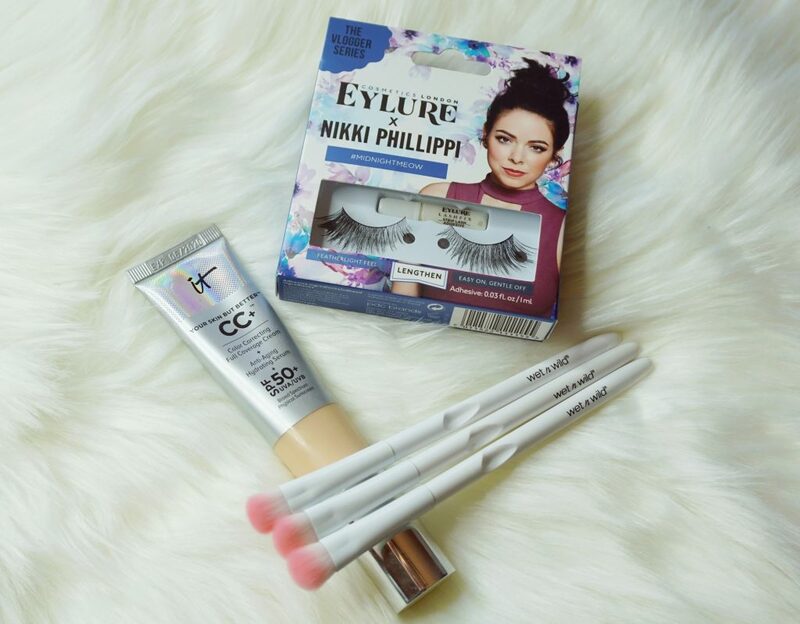 I love all of their lashes, but I am a huge fan of Nikki Phillipi. I have been watching her Youtube videos for YEARS, and bought these to support her. I love how thin the band is because it makes them incredibly comfortable. I forget that I am wearing them! It also focuses most of the lashes on the outer corner of your eyes which makes your eyes appear bigger and uplifted. Wet n Wild Eyeshadow Brush: I was skeptical the first time I bought their eye shadow brushes, and my skepticism did not last long. I quickly understood why everyone was raving about them… and then bought more. The brush is sturdy, and the bristles are soft. I would assume that they were from a bougie company if I didn’t know any better. You can’t beat the price! It’s a 10 Miracle Leave-in Product: I have been using this product for several years now, and no matter what I put my hair through, this always saves the day. Nothing is worse than getting out of the shower with clean hair, and applying a leave in conditioner that leaves your hair sticky and oily. With It’s a 10, my hair is only left softer, healthier and fresher! My only complaint is the price, but depending on how much you wash your hair, the big bottle could easily last you all year. 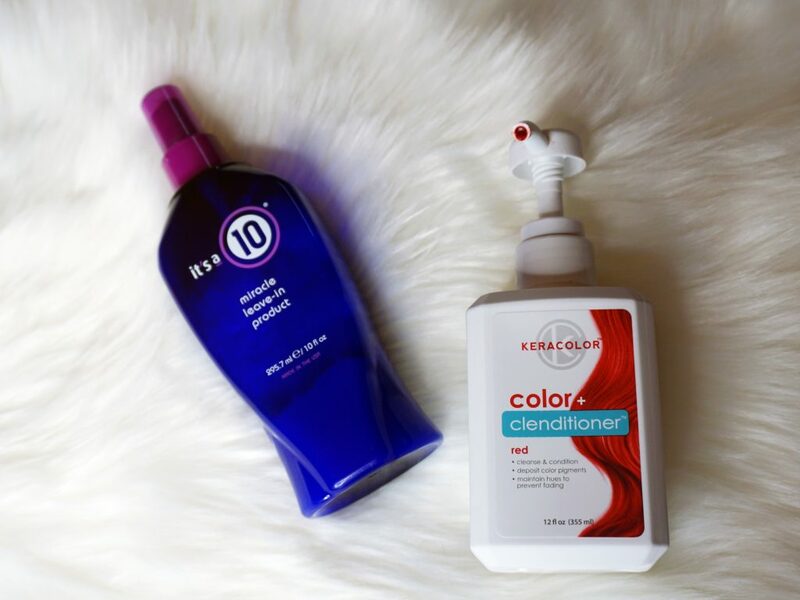 Keracolor Clenditioner: After I dyed my hair red, I became victim of every redhead’s struggle: the color quickly fading (AND IT DYING EVERYTHING IN YOUR HOME). I found this brand on Amazon, and the reviews were almost all positive. Now I see why. It bring my red back to life, tames my frizz, and deep conditions… all at once! It also smells amazing. I can’t put my finger on it, but it’s kind of earthy, semi-sweet and clean. Skyn Iceland Hydro Cool Firming Eye Gels: Who else struggles with bags under their eyes? Raise your hands! I have heard from several individuals that bags can be hereditary so if your mom or grandma has them, TA-DA! You are destined for bags under your eyes. The Skyn Eye Gels have a cooling effect, and instantly bring down any inflammation I might (probably) have. One of my favorite parts about them is how well they stick under my eyes. I could do chores around the house, take the dog for a walk, and they would not budge. One of my favorite 2018 finds for sure! Skyn Iceland Glacial Face Wash: This. Product. Would it be too much to say that it changed my life? Because it has. First of all, its scent is out of this world. It reminds me of cruising through Glacier Bay in Alaska, and that euphoric, nostalgic smell after a long rain. Secondly, it has a relaxing, cooling sensation which can come in handy early in the morning. A little bit goes a long way so you’re getting a lot of bang for your buck. If you have combo skin like me, I think you would LOVE this product. Sun Bum Face Lotion: Another thing that I made a priority in 2018 was wearing sunscreen on my face everyday. 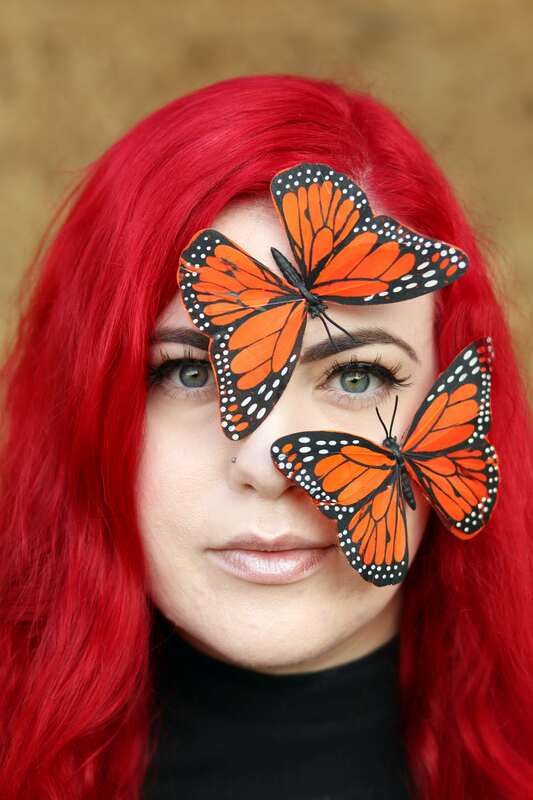 It was a ROUGH ride trying to find one that wouldn’t leave a white cast on my face, sting if it got into my eyes, break me out or crumble under makeup. Sun Bum came to the rescue, and I haven’t tried anything else since. Lush Cup O’Coffee Face and Body Mask: If you like face masks, and you don’t have this one in your collection, what are you doing??? It gently exfoliates, softens and brightens your skin. Plus, it smells like that life saving first cup of coffee in the morning. I highly, HIGHLY recommend giving it a try. If you don’t want to make the investment quite yet, just grab a sample at your local Lush store. Tarte Knockout Tingling Treatment: Not going to lie, this product terrified me at first. Mostly because I have sensitive skin, and I never know how it will react to something… especially acid and sulfur. As most of you know, I love tingling in skincare so my excitement outweighed my fear. I noticed a HUGE difference in my skin the next morning. The pores around my nose were tighter, and the acne on my jawline was practically all gone! If you have been wanting to test Tarte’s Tingling Treatment, I urge you to give it a whirl. Just remember to let it FULLY dry after using before putting your night cream on, and only use at night. Some of the ingredients can make your skin more susceptible to sun damage. Also, do not expect it to smell pleasant. It has a very strong vinegar scent, but that quickly fades away! 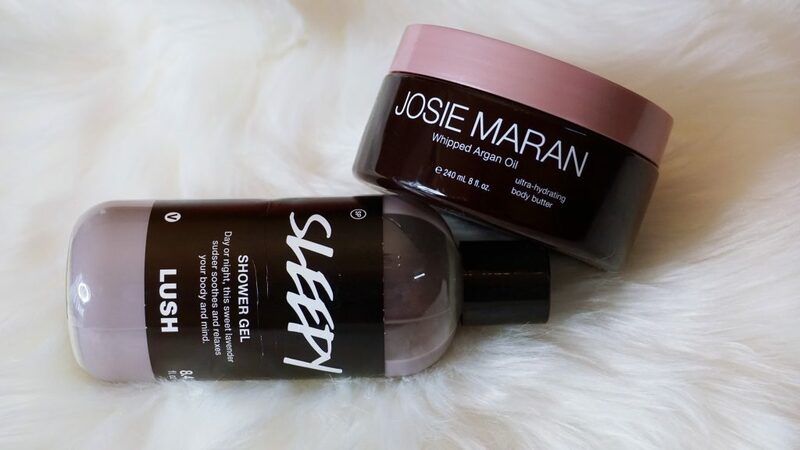 Josie Maran Whipped Argan Oil in Unscented: Do you have a product that makes you feel like a queen when you use it? The Josie Maran body butter does that for me. My skin soaks up every last drop, and I am left with glowing, rejuvenated, happy skin. I will almost always choose unscented because of my allergies, but I have heard amazing reviews for the vanilla one. Once I finish this tub, I might be courageous, and buy a scented one for a change! Lush Sleepy Shower Gel: I am pretty picky with my body washes. If it’s too drying or leaves a slippery residue in my shower, I lose my mind. The Sleepy Shower Gel smells like heaven, and is SO relaxing (hence the name). It has oatmeal in the ingredients so it will soothe your skin while slowly washing your stress away. I love using it when I shower at night because it is so calming! Even writing about it makes me slee… Zzz..
Well, that is it for my 2018 beauty favs. If you made it this far, give yourself a pat on the back! Did you spot any of your favs or something you might want to try?